Mailboxes and inboxes are where your direct marketing offer flies or dies. The consumer decides then and there to look at it more closely…or trash it. And she makes her decision in the twinkling of an eye. Roger Remington from the Johns Hopkins University Applied Physics Laboratory discovered in one eye scan study that the lag between eye and attention is one tenth of a second. Other studies show that after attracting attention in that tenth of a second, you have four more seconds to hold it. This tiny window of time is the critical mailbox moment during which the consumer determines your piece’s fate. Consider Jan. She goes to her mailbox after a busy day at work and still more to do before she sleeps. She sorts through the mail, mentally calculating the worth of each piece before going inside to open the chosen few. So, how do you seize this moment? How do you use your four and one-tenth seconds to convince Jan to open your piece? The OE’s size, use of color, and logo will work to get Jan’s attention in that first tenth of a second. After that, it’s all about the message. Use the next four seconds to connect with Jan quickly! The strategic use of copy on your OE can dramatically increase your open rate, your read rate, your response rate and, ultimately, your conversion rate. This is especially important if Jan is a prospect and doesn’t already have a relationship with you. Imagine these envelopes without the “teaser” copy. Jan isn’t going to open either one just because it’s pretty. She wants to know if it will be worth her time. Convenience is an attractive benefit, so this copy appeals to Jan’s need or desire for more banking convenience. This teaser triggers Jan’s fear of not being prepared for retirement. It also includes a time-limited benefit (free financial review). While envelope copy drives the critical mailbox moment for printed mail, the subject line drives it for email. And the words you choose are even more important, because you’re limited to just a few characters. Marketing Sherpa says the highest “read” rate for emails have subject lines with 61-70 characters. The DMA says to aim for a 40-character maximum to accommodate mobile devices. Either way, it isn’t easy. Let your offer guide you. And your knowledge of Jan.
ABC Bank Branch Manager Join us for ice cream and CD bonuses! The first two subject lines have a shot; the last one is repetitive and boring. Why not tease Jan with a topic from the newsletter…and possibly change the “from” line to: Editor-in-Chief, XYZ Bank Publications. The critical mailbox moment is just a few seconds or words long. But what a powerful moment it is. Because once Jan takes the next step, she’s with you. She’s looking. She’s listening. For more creative best practices around direct marketing, check out our webcast. 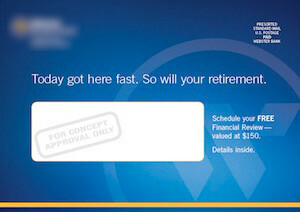 Using Direct Mail? If Not, That’s a Big Red Flag. Once considered on its way out, direct mail is again relevant – serving as an essential component of successful integrated multichannel marketing campaigns. 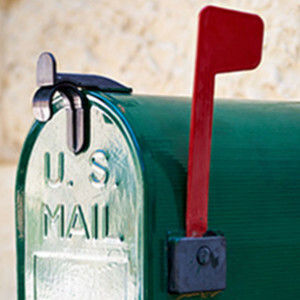 Learn seven reasons why utilizing direct mail is an open and shut case. 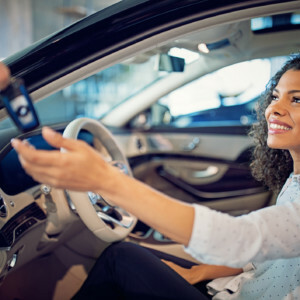 Financial institutions have to assemble the best differentiated offer in the most appealing way if they want to be selected amid all those options. Getting there, however, starts with applying these nine principles. Capture the Eye, Capture the Sale! When prospects and customers take the time to open your marketing piece, they deserve star treatment. Visual hierarchy is the chauffeured limousine that drives your audience to different parts of your message, where they can take a picture or get out for a closer look.